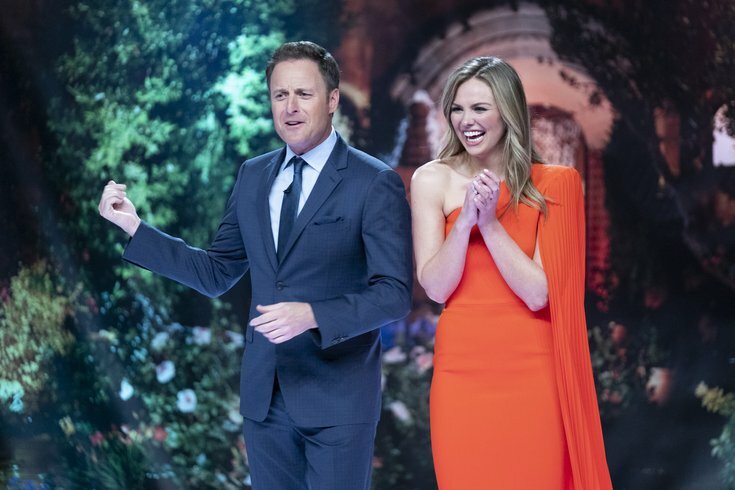 For the first time in the history of any Bachelor Nation TV show, several contestants were eliminated before stepping out of the limo on night one. Why? Poor social media history. You likely quit your job (or at the very least took an unpaid leave) and up end your life for a chance at finding your soulmate. You spent hundreds, if not thousands, of dollars on new clothes to put on your best Cristiano Ronaldo impersonation. You told your closest family and friends you were going to be famous. The Bachelor Recap: Was Season 23 a success? Then all of a sudden, the day before filming begins, you find out you’re no longer welcome on the show due to your poor social media history. From the highest of highs, to the lowest of lows. In an attempt to clean up its reputation, “The Bachelorette” released the official cast photos and information earlier than it ever has before. The reason? So the Sherlock Holmes of Bachelor Nation could dig up dirt on contestants before they start filming. In the past couple of years, the show has taken a lot of heat after it was revealed many contestants had some horrific social media histories. Unfortunately, the show films months before it airs, so by the time any news of these social media behaviors arose, it was too late. The most widely known social media scandal came from the winner of season 14 of “The Bachelorette,” Garrett Yrigoyen. It was discovered he liked various racist images and mems on Instagram prior to being casted on the show. He was forced to break his silence while the show aired and released a statement on his Instagram account regarding the allegations. But that wasn’t the only one. Tracy Shapoff from season 23 of “The Bachelor” had tweets from 2010 resurface for fat shamming individuals. They have since been deleted. The list goes on. Maquel Cooper from Arie’s season of “The Bachelor” posted an image of her in brownface on Instagram. Lee Garrett from Rachel’s season posted racist comments on his Twitter account in 2015 and 2016. Chris Randone from Becca’s season was accused of being verbally abusive by Becca and fellow contestants while on the show. Lincoln Adim, from the same season, was convicted of indecent assault and battery for groping and assaulting a woman on a cruise ship. Leo Dottavio, again from Becca’s season, was accused by multiple women of allegedly harassing them and making unwanted sexual advances in the past. The franchise has clearly had enough and realized they couldn’t continue to cast bad people. As a result, several men on the current season of “The Bachelorette” were eliminated prior to filming even commencing. Matt Dione was one of those contestants as DMs from his Instagram were made public from the past two years of him harassing a female. Joe Romeo was also eliminated due to anger issue accusations. He released the following videos after being cut. Sammy Maniscalco dropped out before filming. It’s rumored the reason is because an “embarrassing” video re-surfaced of him rapping with the Bradley Braves basketball team. As I discussed in my season 23 recap, social media is going to play an enormous role in the franchise for the foreseeable future. From fans live tweeting, to contestants making a living off of branded endorsements, to recruiting and vetting contestants for the show, social media is very much part of the fabric of Bachelor Nation. “The Bachelorette” has clearly taken the proper steps to ensure quality men appear on this season. We will see how long that will last, and if any contestants slip through the cracks when the show airs on ABC on May 13.